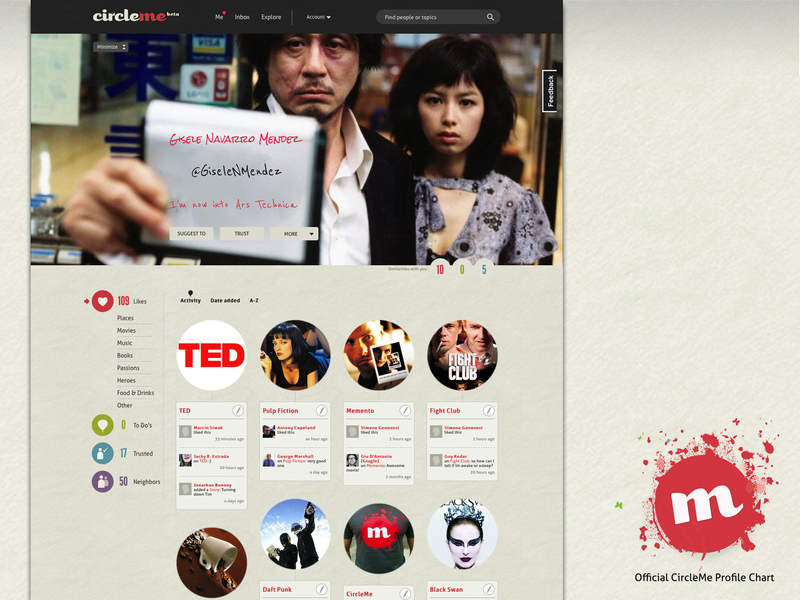 Today we present to you the Official CircleMe Profile Chart. 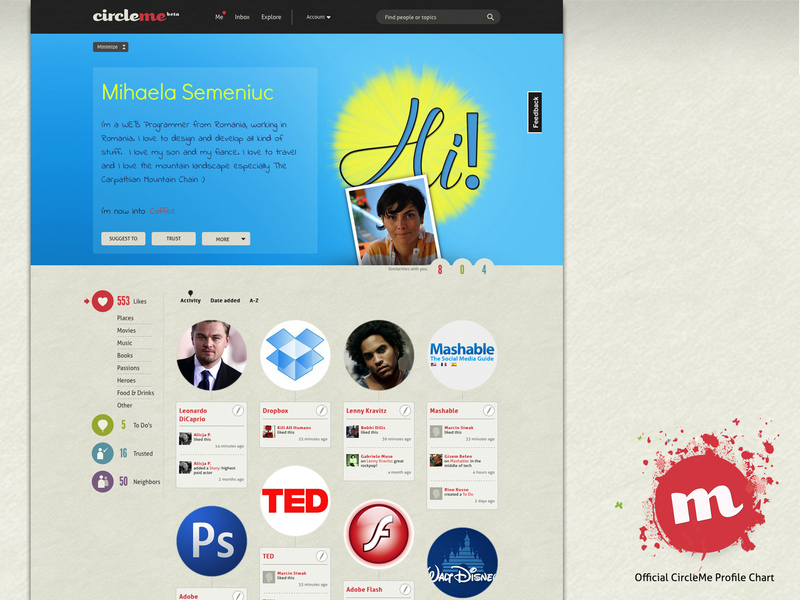 The CircleMe’rs are getting creative with their profiles, and we selected 5 initial profiles that we really love. Now it is time for you to state which one is your favorite! 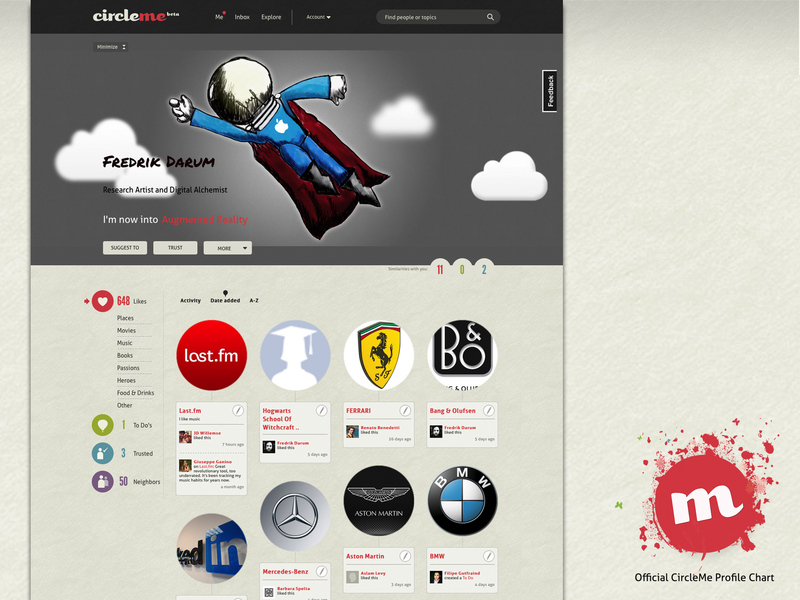 Here are the rules: starting from today, we’ll periodically present to you a set of cool CircleMe profiles to vote on (always in batches of 5). What’s the prize? Besides the incredible “glory” and loads of new Trusters on CircleMe :), you will get an awesome CircleMe t-shirt and some other promotional stuff, sent directly to the winner from the CircleMe team. ← Boosting “To Do’s” and Gmail integration! 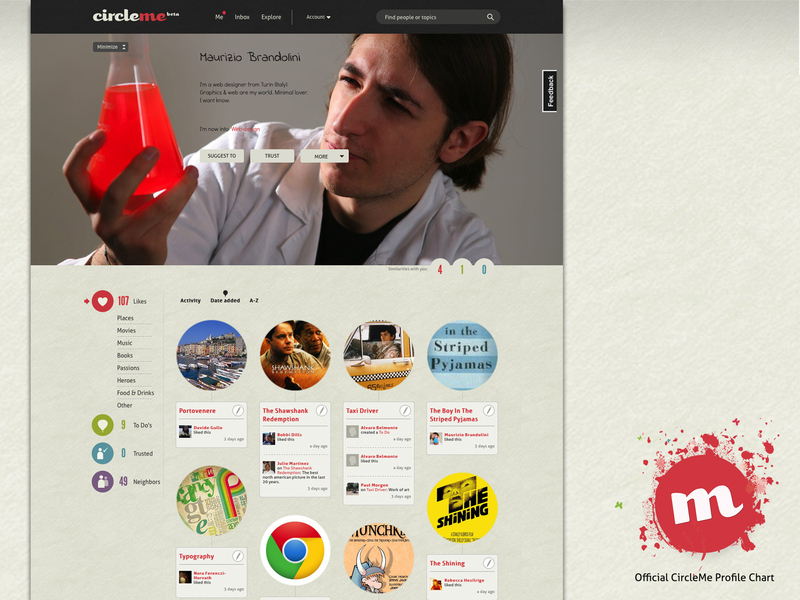 The Official CircleMe Profile Chart was definitely fun and interesting! 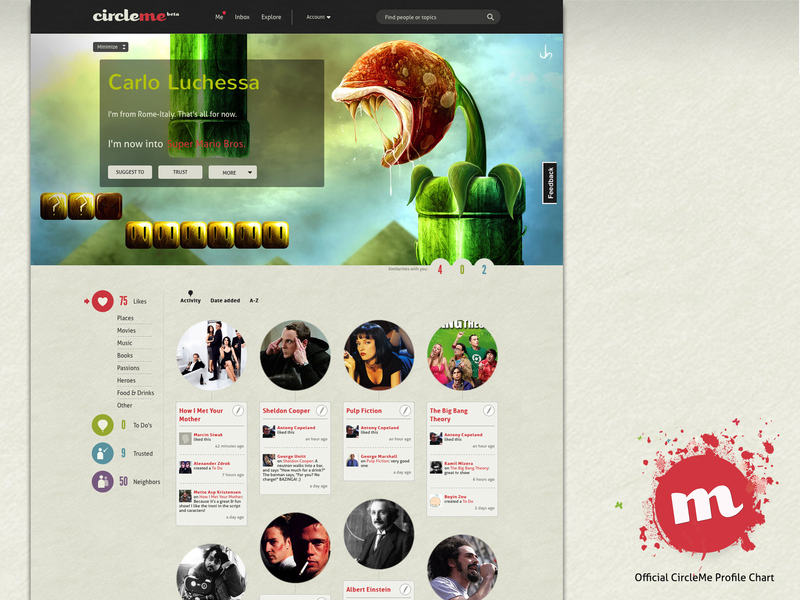 We discovered that there are so many creative CircleMe’rs, and the contest was a challenge for all of you. We thank you for taking part of it and supporting it. CircleOn!